Working in 360/VR just got a whole lot easier. 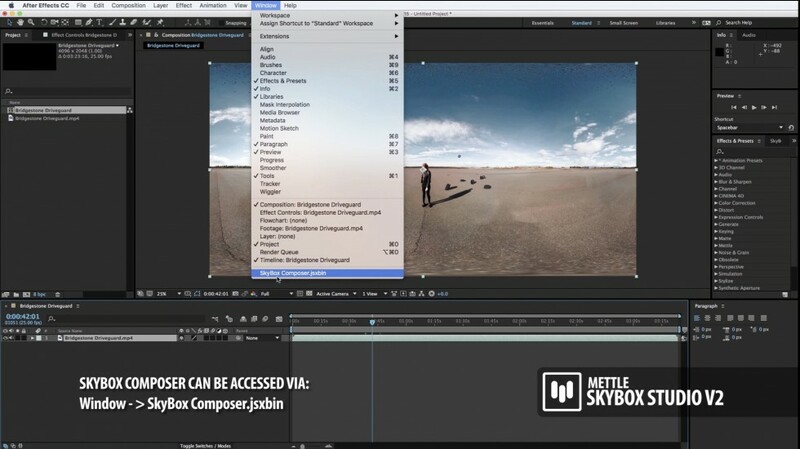 New Module: SkyBox Composer creates a 360° “Edit” comp that is similar to a regular “Comp” in After Effects. View-based Edit: you can orbit around your 360° “Edit” comp using the “Camera Orbit Tool”, to position the 360 view you need in frame. The framed 360 view is similar to what you see through an HMD, like the “Oculus Rift, or what is framed on your smart phone. 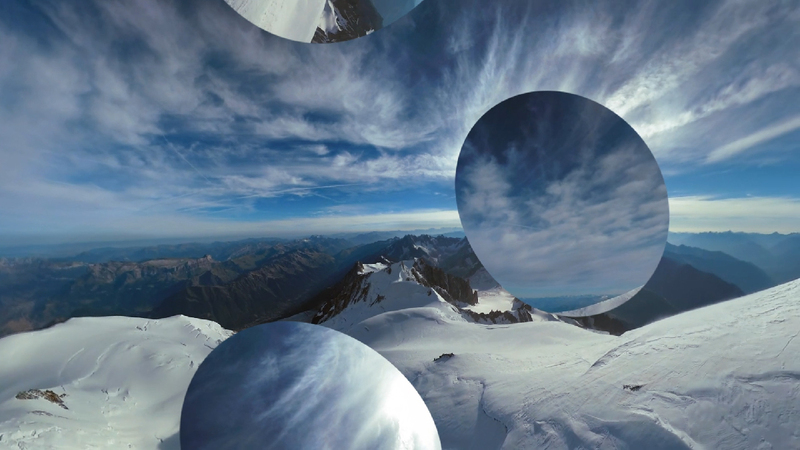 So now you are working in a Comp view that mimics what the viewer will see in the rendered 360° video. 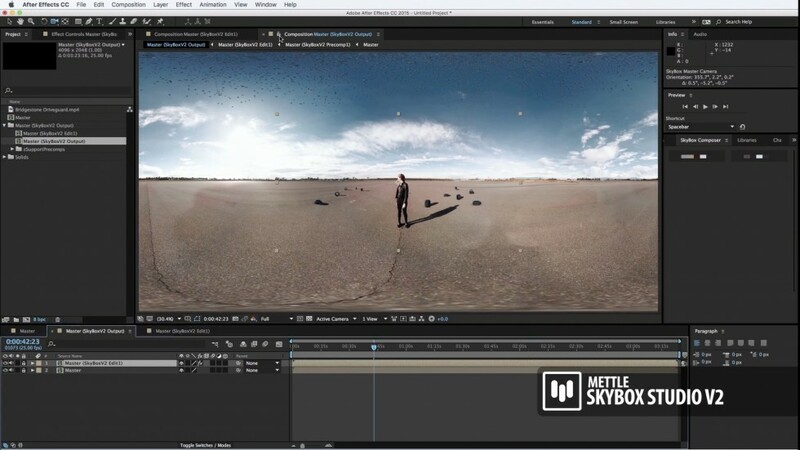 SkyBox Composer brings 360/VR workflow closer to the regular After Effects workflow, making it much more intuitive and easier for painting, motion tracking, and adding 2D and 3D elements. 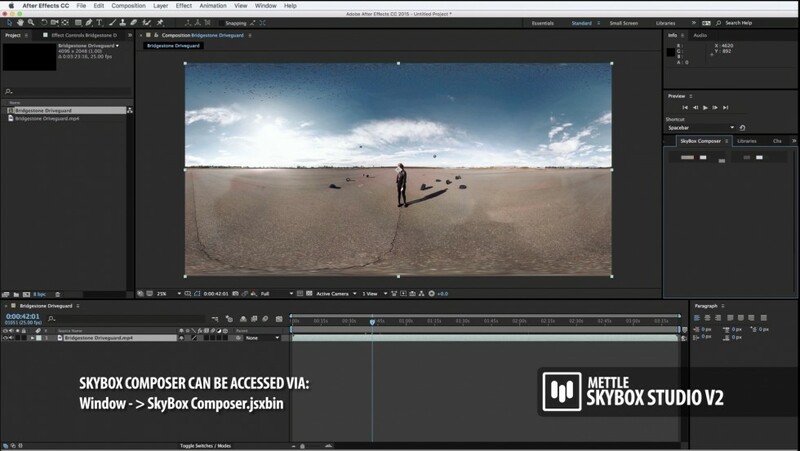 SkyBox Composer creates a 360° Edit Comp and linked Output comp in equirectangular format, that you render from. You can open both windows simultaneously, and see what the “Output” comp looks like as you work in your “Edit” comp. Also new – work with any comp size and any aspect ratio. 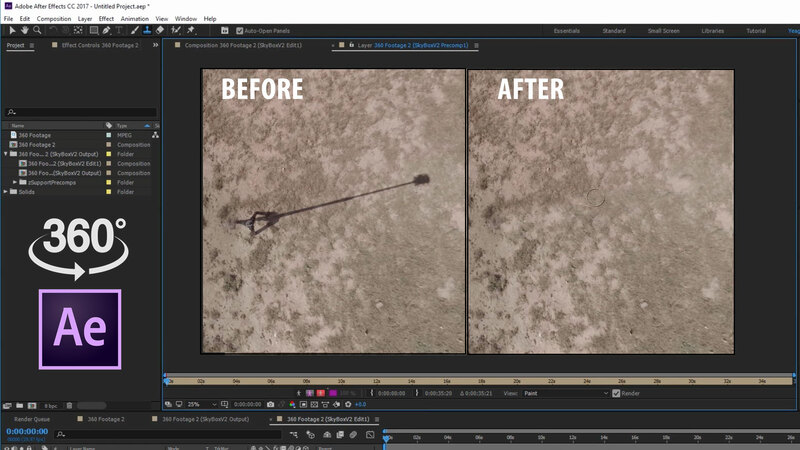 “Normal” View-based 360 editing in After Effects. 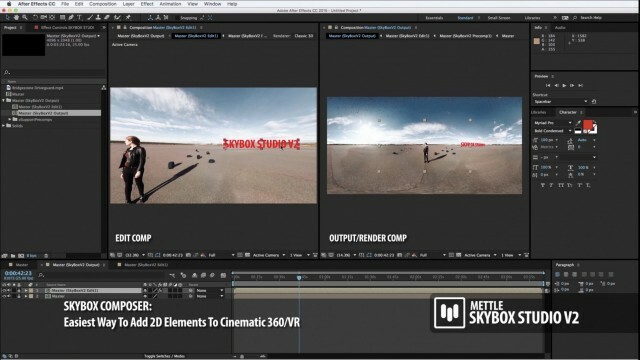 SkyBox Studio Version 2 will still have the 4 original modules for 360/VR production. Two plugins: SkyBox Creator and SkyBox Viewer. Two scripts: SkyBox Creator and SkyBox Extractor. SkyBox Composer: Edit comp is linked to Output Comp. 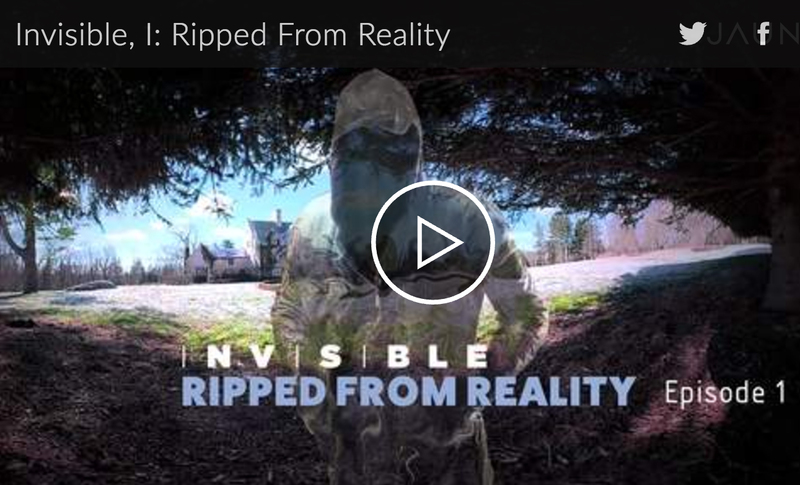 This looks like a great way to work with text in 360. Looking forward to working with the new version. This is going to be a great update to an already impressive set of tools! What’s your timeline on the release Chris? Q4 or Q1? This is awesome! I’m working on a VR project that would benefit HUGELY from this update. Can you hint at when it might be available?